Remember when I was invited for a Disney press trip to Los Angeles last spring? I’m headed there again! Disney has invited me for another amazing press trip to cover #IntoTheWoodsEvent and #ABCFamilyEvent! I will be leaving this week for an exciting jam-packed filled press trip with amazing interview opportunities and more! Check out all the amazing opportunities I will be taking part in below. Be sure to follow along with the event hashtags! Be sure to let me know question suggestions for the celebrity interviews! I know you’ve all been following along with my Guide to ABC Family’s “25 Days of Christmas” Programming Event! 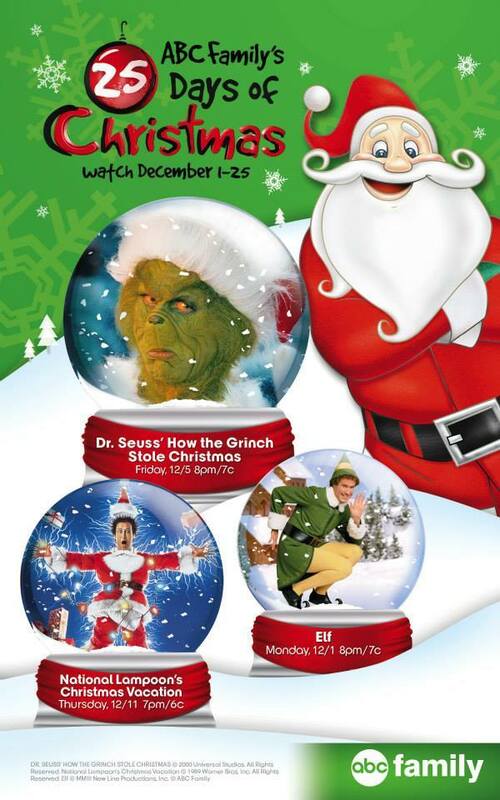 Be sure you are checking out all of those amazing Christmas themed shows! My son has really enjoyed a lot of them. His favorite is definitely Polar Express and of course National Lampoon’s Christmas Vacation! I will get to enjoy an 25 Days of Christmas dinner with the other bloggers on Wednesday evening, along with a fun white elephant gift exchange (#25DaysOfChristmas). After the amazing dinner, we will be viewing the ABC season premiere episodes of MELISSA & JOEY (#MelissaandJoey) and BABY DADDY (#BabyDaddy). Do you watch either of these shows? What’s your favorite thing about them? Be sure to tune in January 14, 2015 to catch the season premieres! On Thursday we will get to visit the sets of MELISSA & JOEY and BABY DADDY! We’ll even get to tour the various soundstages where MELISSA & JOEY films and interview stars Melissa Joan Hart (“Melissa Burke” – @MelissaJoanHart) and Joey Lawrence (“Joe Longo” – @joeylawrence) in-between observing rehearsal and taking a tour of the set! We will also get to tour the various soundstages where BABY DADDY films and interview stars Jean-Luc Bilodeau (“Ben Wheeler” – @jblives), Tahj Mowry (“Tucker Dobbs” – Tahj_Mowry) Derek Theler (“Danny Wheeler” – @DerekTheler), Chelsea Kane (“Riley Perrin” – @ChelseaKane) and Melissa Peterman (“Bonnie Wheeler” @Followtheblonde) in-between observing rehearsal and taking a tour of the set! We will get to go to Walt Disney Studios (#IntoTheWoodsEvent and #101Dalmatians) for a 101 DALMATIANS Q&A and Drawing Demonstration with Legendary Disney Animator Flloyd Norman! 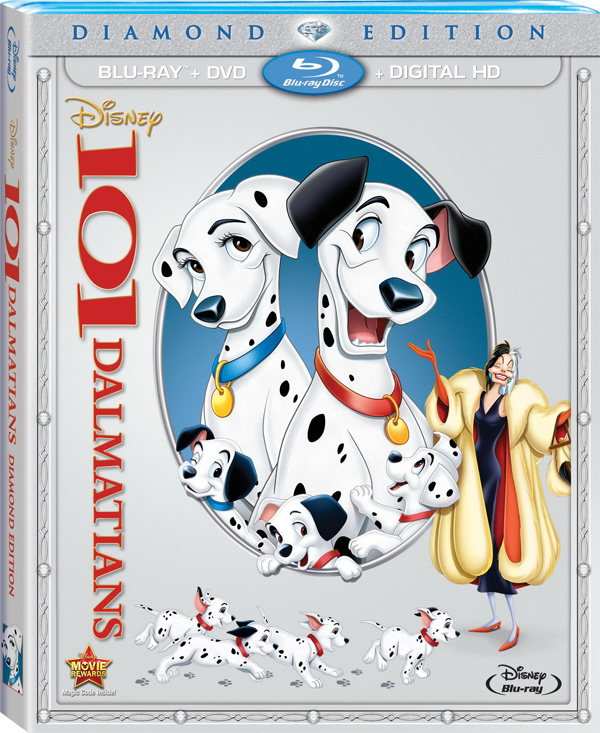 101 DALMATIANS releases from the Disney vault on February 10, 2015! On Friday we will head to the Montage Hotel for a Press Day for INTO THE WOODS (@IntoTheWoods)! We will enjoy a group interview with the amazing Meryl Streep (“The Witch”), Tracey Ullman (“Jack’s Mother”) and Christine Baranski (Cinderella’s Stepmother”). And separate group interviews with James Corden (“The Baker” – @JKCorden) and Emily Blunt (“The Baker’s Wife”), Anna Kendrick (“Cinderella” – AnnaKendrick47) and Director Rob Marshall and Costume Designer Colleen Atwood. INTO THE WOODS opens December 25, 2014 on Christmas Day! We will enjoy lunch at the Hard Rock Café located next door to the Dolby Theatre where the Academy Awards take place! During my stay in Los Angeles I will be staying at the Sheraton Universal Hotel. Please post any question suggestions you may have for me to ask the anyone I will be interviewing during my trip! I would love suggestions! Thank you all so much and be sure to follow along with us at #IntoTheWoodsEvent and #ABCFamilyEvent! How fun is this?! I am totally jealous! What a fun event, I hope you have an awesome time. I’ll be following along. What a great event. Sounds like you will have lots of fun! I soo love LA..Have a great time!! I am excited to see Into the Woods. Ask Tracey Ullman when she will be back on television again? Loved her show. I really want to see Into the Woods, looks like a really good movie, and very interesting plot! Have fun! Cherish each of the amazing opportunities you get. Thank you for sharing them with us. I just saw Tracy Ullman do a review for this on tv. The movies sounds good! Sounds like a great event with lots of fun. Glad to know you had a great time here. Melissa & Joey, Baby Daddy sounds amazing. Thanks for sharing. Oh wow, what an exiting times for you! Oh how fun! You are going to have a blast. Congratulations! This is going to be awesome! I’m looking forward to reading more about your trip. It sounds awesome! Oh wow how fun! Enjoy cant wait to hear all about it. Me too. I think this is going to make for some great reading. That’s going to be awesome!!! I can’;t wait to hear more about it! What a fun thing to be able to attend! Kinda jealous! looks so fun!! I’m able to attend to hahah Enjoy your event,. Wow, this or shuld I say these events will keep you busy. I bet it will be an amazing time! I love Anna Kendrick and Meryl Streep and I’m really looking forward to this movie coming out! Oh wow. That looks like so much fun! What an exciting opportunity for you! I cannto wait to see Into The Woods. I am looking forward to watch that movie in the big screen. 🙂 I’m very curious as to how dark Disney can get. The best part is definitely the Into the Woods event. You’re going to be busy! Looks Like so Much Fun! I can’t wait to see Into The Woods! Sounds like super fun! I bet you’ll have a blast! How lucky are YOU!!! so super cool–I can’t wait to see the movie and I will be following along! What a super fun event! Hope you have a blast!